It’s the 17th of the Month! 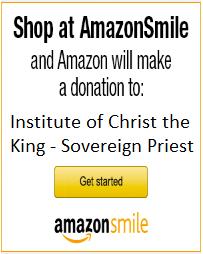 So, the monthly novena to the Infant of Prague has once again begun! This month’s meditation is on Temperance: Finding the Right Measure in the Good, the True, and the Beautiful (check out that link for a great article on it). 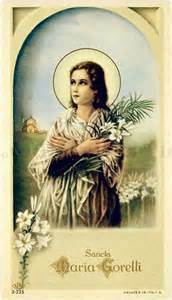 The novena prayer will be posted on my home page until the 25th and you can visit my previous post (click me!) to learn more about it! 2. It’s the 17th of March!! Happy Feast of St. Patrick!!! St. Patrick is probably one of the best known saints in the Catholic Church. You’d have to come up with a fantastic excuse for being Catholic and not knowing of a saint whose feast day is also a public holiday. If you ask any Catholic about St. Patrick and they will probably tell you all the stories of the great Irish saint (who wasn’t actually Irish, nor was his name Patrick) being kidnapped by pirates, escaping, becoming a Bishop, returning to Ireland as a missionary to convert the Irish Druids, driving the snakes out of Ireland (which probably didn’t happen, but is more likely symbolism of him driving out paganism – the snake is the Druid symbol), and famously teaching about the Holy Trinity using a shamrock (which is just a fancy word for clover). However, I actually came to know St. Patrick because he is the patron saint of engineers. It was one of the first things I learned about him, as I somehow know a lot of Catholic engineers – they love to tell me this. If you didn’t know that… congratulations! Now you do! If you did know that… have you ever wondered why? I mean – if after being the patron saint of Ireland, I would have though he would be the patron saint against kidnapping… or snake bites… or something far more relate-able to the St. Patrick we know before being connected to engineers. But – it is true and apparently it’s because he was somewhat of an engineer himself! We know that while converting Ireland, he oversaw the construction of thousands of Catholic churches. While it’s speculation that he was involved in the construction himself, he apparently constructed those churches with new Roman technology – including the use clay as building material and using arches in the architecture. Well – if that is true, I would have named him the patron saint of architects, but I guess it’s close enough. 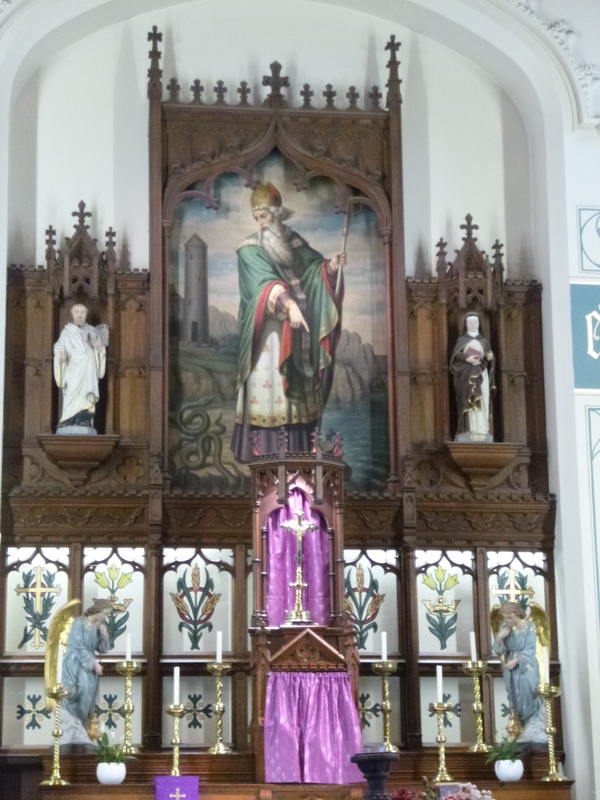 I’m super excited about St. Patrick’s feast day today as it means the parish of St. Patrick (where the photo is from) is going to have adoration (!!!! ), and confessions (!!!!!!! ), and Mass (!!!!!!!!! ), AND last but not least, a little social gathering afterwards, naturally with food (not enough exclamation points for that – duh). To top it all off, it’s in the evening – so I can actually go! Hurray!!! Well – I will be praying for all you engineers out there (and the Irish too! ), and I will leave you with the full version of St. Patrick’s Breastplate. The strong virtue of the Invocation of the Trinity: I believe the Trinity in the Unity, The Creator of the Universe. The virtue of the Incarnation of Christ with His Baptism, The virtue of His crucifixion with His burial, The virtue of His Resurrection with His Ascension, The virtue of His coming on the Judgement Day. The virtue of the love of seraphim, In the obedience of angels, In the hope of resurrection unto reward, In prayers of Patriarchs, In predictions of Prophets, In preaching of Apostles, In faith of Confessors, In purity of holy Virgins, In deeds of righteous men. The power of Heaven, The light of the sun, The brightness of the moon, The splendour of fire, The flashing of lightning, The swiftness of wind, The depth of sea, The stability of earth, The compactness of rocks. God’s Power to guide me, God’s Might to uphold me, God’s Wisdom to teach me, God’s Eye to watch over me, God’s Ear to hear me, God’s Word to give me speech, God’s Hand to guide me, God’s Way to lie before me, God’s Shield to shelter me, God’s Host to secure me, Against the snares of demons, Against the seductions of vices, Against the lusts of nature, Against everyone who meditates injury to me, Whether far or near, Whether few or with many. Against every hostile merciless power, which may assail my body and my soul, Against the incantations of false prophets, Against the black laws of heathenism, Against the false laws of heresy, Against the deceits of idolatry, Against the spells of women, and smiths, and druids; Against every knowledge that binds the soul of man. Christ, protect me today; Against every poison, against burning, Against drowning, against death-wound, That I may receive abundant reward. Christ with me, Christ before me, Christ behind me, Christ within me, Christ beneath me, Christ above me, Christ at my right, Christ at my left, Christ in the fort, Christ in the chariot seat, Christ on the deck, Christ in the heart of everyone who thinks of me, Christ in the mouth of everyone who speaks to me, Christ in every eye that sees me, Christ in every ear that hears me. The strong virtue of an invocation of the Trinity; I believe the Trinity in the Unity The Creator of the Universe. St. Patrick of Ireland, ora pro nobis! This entry was posted in Catholicism, Lives of the Saints and tagged Catholicism, engineers, Ireland, patron saint, St. Patrick's Day. Bookmark the permalink.